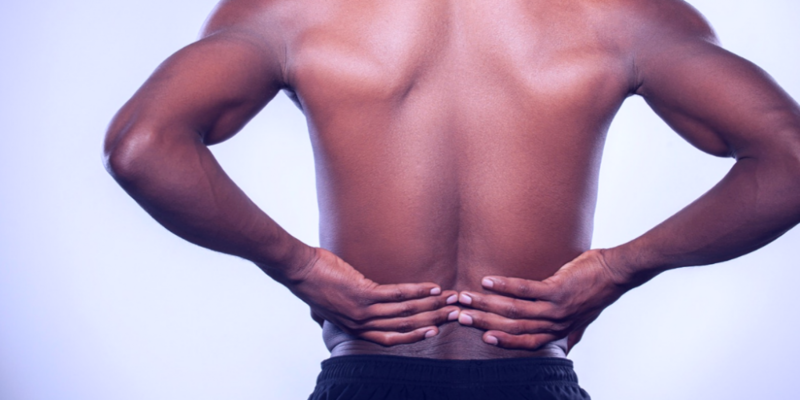 Do you have back pain, neck or shoulder pain, joint pain, or muscle soreness? Do you have fibromyalgia, rheumatoid arthritis, osteoarthritis, endometriosis, migraine headaches, digestive issues, or a neurological system disorder? Peak Performance Float provides a new way for you to alleviate your pain with Float Therapy. Float Therapy offers a natural healing and treatment option for pain relief. One of our primary objectives for opening Peak Performance Float, our Float Therapy and wellness center in Walnut Creek, was to help our clients reduce the amount of prescription medication they need to alleviate and manage their pain. We feel very blessed to be a part of the many stories where Float Therapy has helped to change our clients lives by alleviating their pain. This is definitely one of the most rewarding aspects of our business. There is a sizable body of scientific research and conclusive studies to back up what we have observed first hand. Access full research and references below. How does Float Therapy alleviate pain? Float tanks offer an ideal environment for pain relief from muscular-skeletal and rheumatic conditions due to the near zero gravity experience. This allows a relaxation and expansion of multiple inter-articular spaces enabling improved blood flow. Accumulated muscle tension is also released resulting in increased blood circulation to the affected areas. Floating allows you to absorb magnesium and sulfate from the Epsom salt in the salt water solution resulting in stress relief, elevated mood, improved digestion, and many more benefits. Magnesium is needed for more than 300 biochemical reactions in the body. It helps to maintain normal nerve, muscle, and brain function, supports a healthy immune system, reduces inflammation, and helps bones remain strong. Magnesium plays a critical role in preventing anxiety and depression, preventing Type 2 diabetes, lowering blood pressure, preventing chronic inflammation, and also preventing migraine headaches. Studies suggest that approximately 50% of people in the US and Europe get less than the recommended daily amount of magnesium. Sulfur is the third most abundant mineral in your body. While close to half of it is found in your muscles, skin and bones, sulfur plays important roles in hundreds of physiological processes. Sulfates from the Epsom salt play an important role in detoxification. They are also important for heart and cardiovascular health, insulin function, and vitamin conversion. Sulfates also help in formation of mucin proteins that comprise the walls of the digestive tract as well as joint proteins. Float Therapy allows for the safe absorption of magnesium and sulfates through your skin. Floating provides a reset for the nervous system enhancing sleep and promoting the release of endorphins, which are the body’s natural painkillers. Void of stimulus to the senses, floating spontaneously induces a deep relaxation response that allows your brain to feel restored by accessing the deeply relaxed meditative state know as the theta state. In this state of Restricted Environmental Stimulation (R.E.S.T), the parasympathetic nervous system becomes active, allowing the mind and body to reset and shifting energy and resources towards repairing itself and accelerating healing. Floating has a profound effect on alleviating pain that is achieved without placing additional stress on the body. Floating allows for immediate relief of many pain symptoms as well as long-term benefit of fatigue reduction and redirecting the body’s energy that is usually spent on managing pain. By adding floating either occasionally or regularly to your pain management plan (see How Often Should I Float? ), clients can experience an improvement in the other aspects of their pain treatment. Floating encourages deeper and more restful sleep which allows the body to focus on healing. Experiencing pain relief also helps a pain sufferer maintain a positive outlook and improve motivation and determination. Pain can limit your daily functions both physically and mentally. For many pain sufferers, their current medical pain management options are not doing enough to effectively improve their quality of life. Consequently, they continue to search for other remedies. Every day, more and more people are experiencing the pain-relieving effects of Float Therapy. And with that, an increasing number of people are including floating in their self-care routines in conjunction with other pain management therapies and programs. If you or anyone you know suffers from chronic pain or pain in general, we encourage you to come try a float. You’ll be one step closer to feeling better and we’ll be here for your every step of the way.